In the mid 1950’s as Victa Lawncare released its first production models into the Australian market, our founder Roy Gripske, saw an opportunity and started his first retail business at Redcliffe in Queensland. 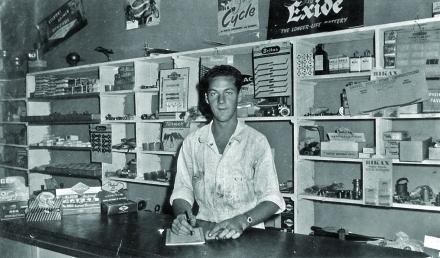 Roy started a lawnmower, bicycle and Marine store with Victa being one of his starting accounts and he then went on to become Rover’s first retail account in Australia. Roy continued as a retail business until 1964 when supply disagreements with some vendors made him become interested in becoming a wholesaler. In 1965 Roy sold the retail business to become a sole-trader wholesaler. 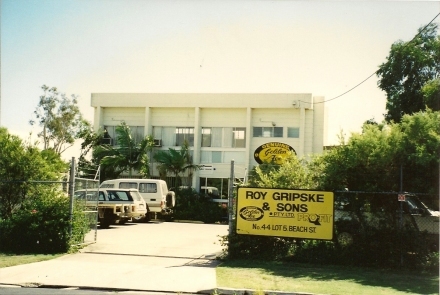 This culminated in 1968 when Roy Gripske & Sons Pty Ltd was formed selling wholesale after-market spares parts to the Outdoor Power Industry. Between 1968 and 1974 Roy initiated a lot of “firsts” in the industry, including becoming the first to import after-market parts directly from the US and selling packaged goods to dealers directly. In 1974 the business was sold to a competitor when Roy Gripske finally retired. However, in September 1981 the wholesale business was restarted in earnest when Roy and Paul Gripske decided there was an enormous opportunity to service the industry due to an overwhelming lack of service, range and competitive pricing amongst suppliers. The reborn company began again to import parts from the US and Asia and, in the mid 1980’s, the company diversified into Golf Course after-market parts. 1990 saw a partnership formed with one of the World's premier chain and chainsaw brands resulting in the exclusive distribution rights. In 1993, with the poor performance of other companies in the industry selling whole-goods, RGS seized on the opportunities again and began selling whole-goods. By 2002 this business had grown to such an extent that the whole-goods division, Powerup Lawncare Products (PLP), was spun off as its own entity. In the meantime (1995), RGS had started its push south with the purchase of several competitors in New South Wales giving it a larger reach for distributing to its customers. This followed in 1998 when UTA Engineering, the main manufacturer of after-market lawnmower blades, was acquired by RGS – expanding further on its ability to deliver quality products into the marketplace. As further expansion in 2004 a branch was opened in Melbourne servicing Victorian Accounts and in 2007 Western Mowers was purchased to provide further coverage in Western Australia. April 2013 saw further expansion as RGS purchased the last independent distributor in Australia - Lawnmower Industries to service the South Australian marketplace. GA Power Equipment Spares, the divisional arm of RGS specialising in the sale, distribution and service of after-market spares, has built on the resources and industry know-how of RGS to continue to grow and service its customers regardless of geographical boundaries within Australia. And so what does the future hold for GA Power Equipment Spares going forward? You will see a continual improvement of both quality and distribution for spare parts to the industry. You will also continue to see a focus on supplying our customers as quickly, reliably and effectively as possible. Continuous improvement and evolution of both our internal systems and our ability to bring quality, cost effective products to market means that GA Power Equipment Spares continue to remain an industry leader while “Giving Dealers Back Their Independence”.